Solitaire with a challenging twist! 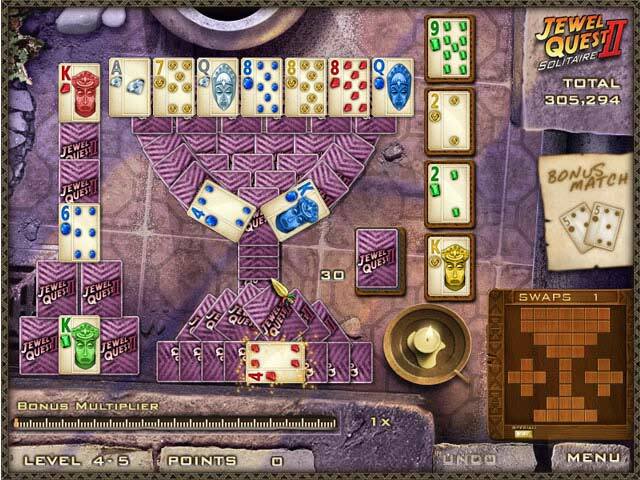 Jewel Quest Solitaire 2 is a brand new card-matching, jewel-swapping, mystery-solving adventure. Emma travels into the depths of Africa to find her missing husband, Jewel Quest`s hero, Rupert. Play impressive layouts of solitaire against rich, vibrant backgrounds. 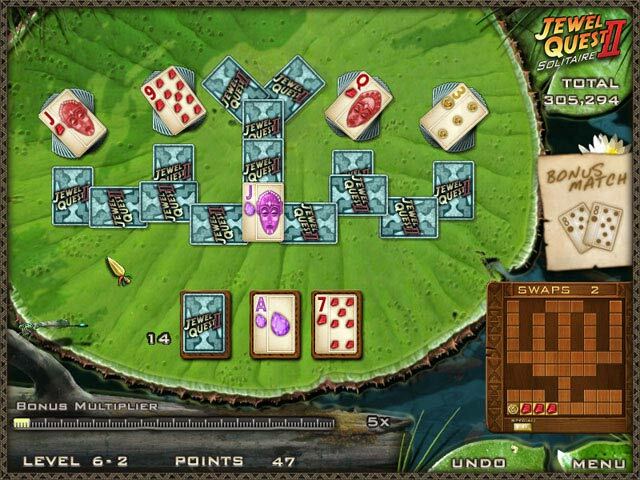 Play your cards wisely and earns jewels in the board to increase your score in jewel matching madness! New jewels and special moves.